You will be required to send in your OEM head to us for this SERVICE. We do not supply the cheater head. POLARIS 800 CFI (AXYS, PRO, and DRAGON) OEM Appearing "CHEATER" Head with Patented Combustion Chamber Technology. NOBODY will know what you have!! RK Tek has decided to do a little "cheating" of their own. RK Tek PIONEERED the first "Cheater Heads" WAAAAY back in 1999. 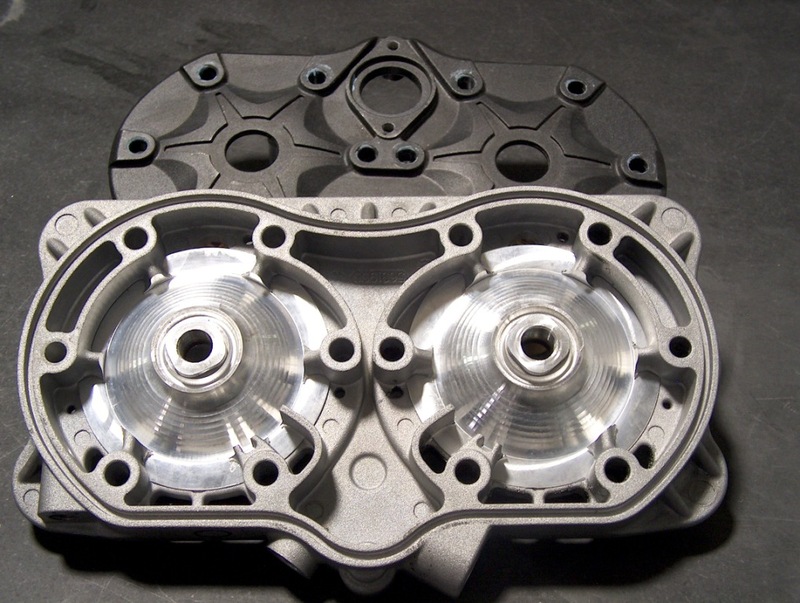 We actually use your OEM stock head and machine it to accept our Patented Billet Head Inserts. This way, the head is totally stock appearing, YET, has all the benefits of our Patented Combustion Chamber Design. So, you get RK Tek's Patented Combustion Chamber installed in your OEM Head Shell! What can be better than that? Now, the dealer can "officially" inform Polaris that your engine has the STOCK head installed! Now, you can have the "#1 Bang for your $$" RKT Pro/AXYS Drop In Kit OR the Monster Power 858 Big Bore Kit OR just the RK Tek Patented Head (see Dyno Sheets) installed and NOBODY would be the wiser! !